The house of Acacia fraternity. It was built in 1907 for a prominent professor, and designed by architect Arthur Gibb in the Prairie House style. Gibb was also responsible for the design of Baker Lab on campus (which was technically designed around 1910, even if it wasn’t completed until 1921) . The house, called “Northcote”, was first occupied by Acacia in 1934, with an additional dorm wing constructed around 1958. Today, in terms of distance from campus, Northcote is probably one of the farthest. Greystone Manor, the house of Sigma Chi fraternity. It is been my observation that Sigma Chi is probably one of the most low-key fraternities of Cornell. There’s only a flag to announce their existence at their house, they have no house web site, etc. However, this doesn’t mean that the house doesn’t have a history worth sharing. The house was the home of silent-film star Irene Castle around 1919, when the silent-film industry was still thriving in the Ithaca area. It was bought by Sigma Chi in 1923, and has been in their possession ever since. On that note, Irene Castle was married to one of Treman family, but left Ithaca (and him) in 1923. Not a frat house, but this is an amazing looking house regardless. Zillow.com indicates it was built in 1910. It’s across the street from Sigma Chi. The house of Phi Delta Theta Fraternity on Ridgewood Road. The house dates from the 19th century, but Phi Delta Theta has made it home for the vast majority of its life. 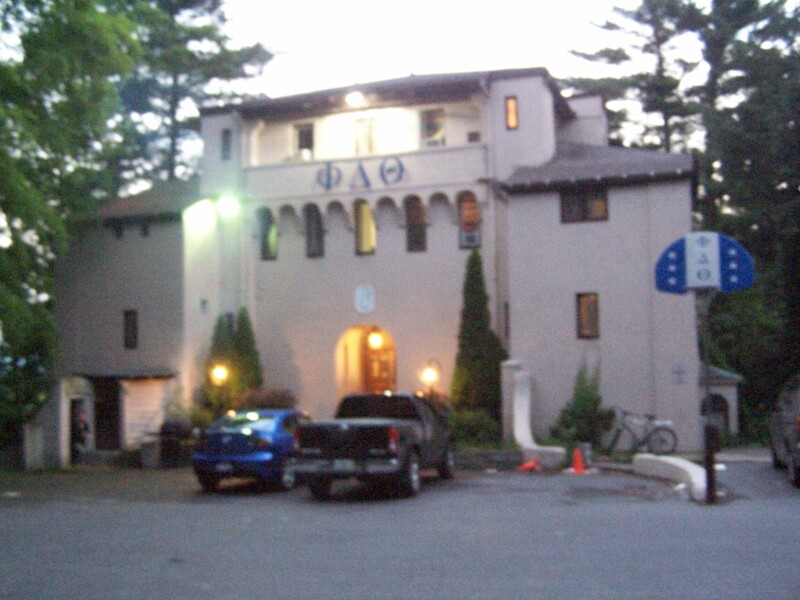 Phi Delta Theta is a dry fraternity, meaning that in its house, there is no alcohol consumption; for that, they can go to their annex at 210 Thurston. The house went dry in 2000, and all 40 current brothers at the time resigned in protest. If any of you are familiar with author Scott Conroe’s It Takes Just Pride, then you’ll recognize that this is one of the fraternities covered in the book. I also want to say that this is one of the two houses where someone chased me off the property for taking photos. Someone was in a foul mood, I guess. The house of Alpha Omicron Pi sorority. AOPi moved in in fall 2006. Prior to that, this house served as the home of Theta Chi for about 25 years. 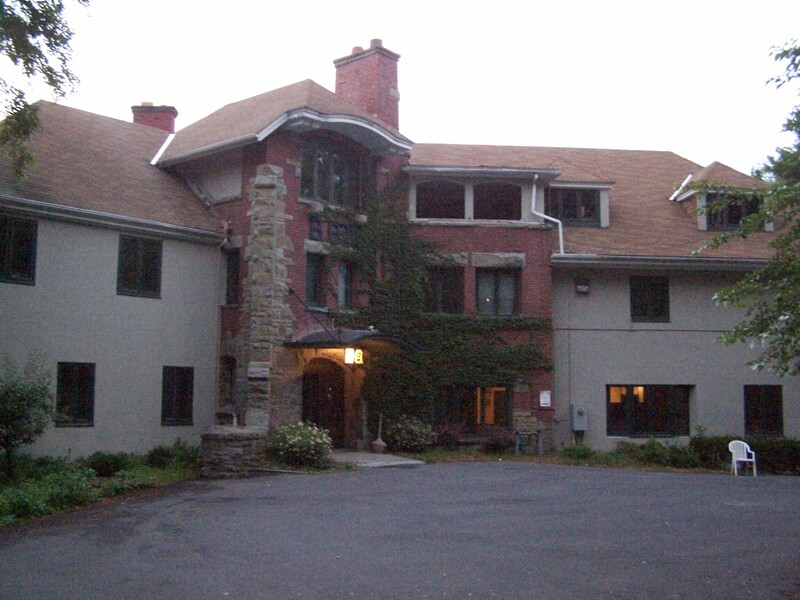 Theta Chi was expelled from campus in 1999, and then the house was briefly occupied by AEPi and former Theta Chi pledges, and finally AEPi moved back to their Thurston house in fall 2001. Theta Chi attempted a reorganization in 2003 but it did not last, and the house sat vacant until AOPi bought the facility. 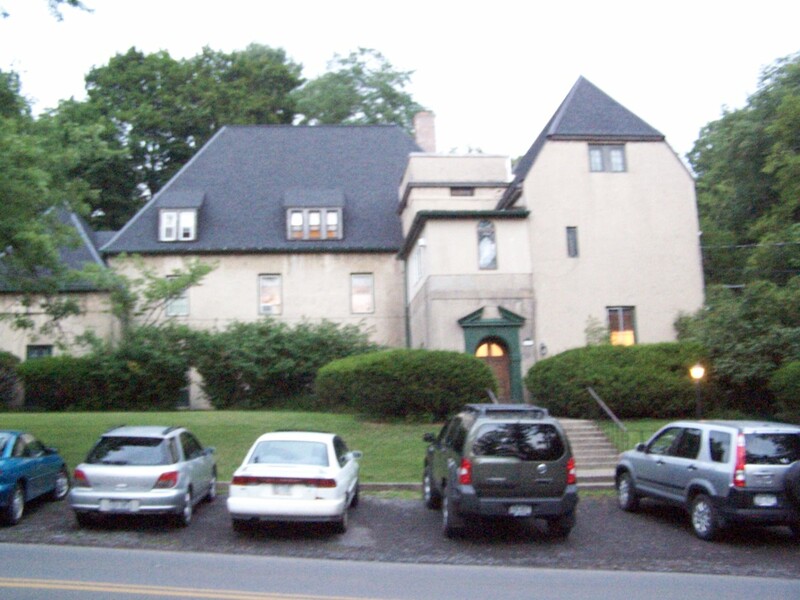 AOPi first came back to Cornell in 1989 after a 25-year hiatus; they lived briefly in AXiD’s house and 210 Thurston before moving into 14 South Avenue on West Campus in 1991 . Prior to Theta Chi, this house was the home of a fraternity by the name Tau Delta Phi. 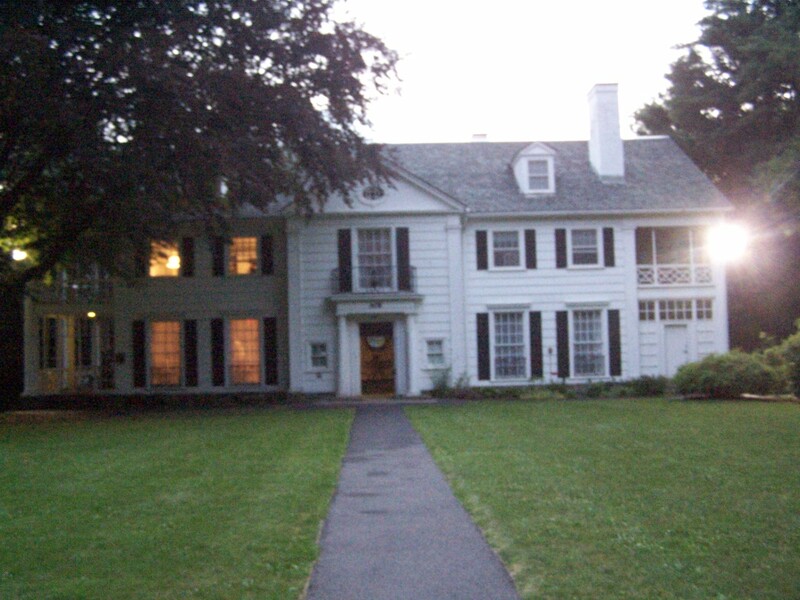 While the house has been home to a number of GLOs, it was originally built in 1925-26 for Professor Ernest T. Paine. Continuing up Ridgewood is Pi Kappa Phi. The house is affectionately known as “Greentrees”, a name that hails from its days as the house of Phi Kappa Sigma before they folded in 1991. The name comes from the seven forested acres the house sits on. The property also at one point maintained an in-ground pool, a rarity for Ithaca. The house was originally home to George Morse of Morse Chain Company (now Emerson Power Transmission, a major private-sector employer in Ithaca). 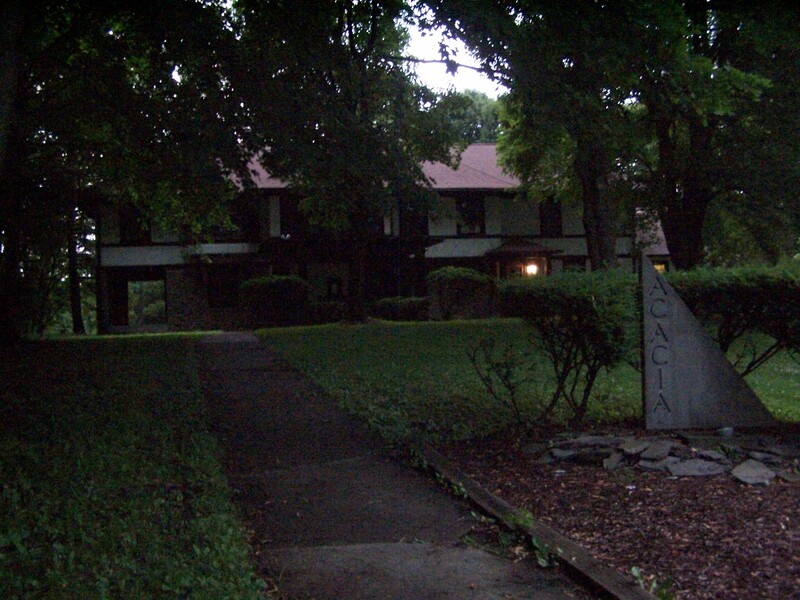 Phi Kappa Sigma, the Skulls, lived in the house from 1935 to 1991. 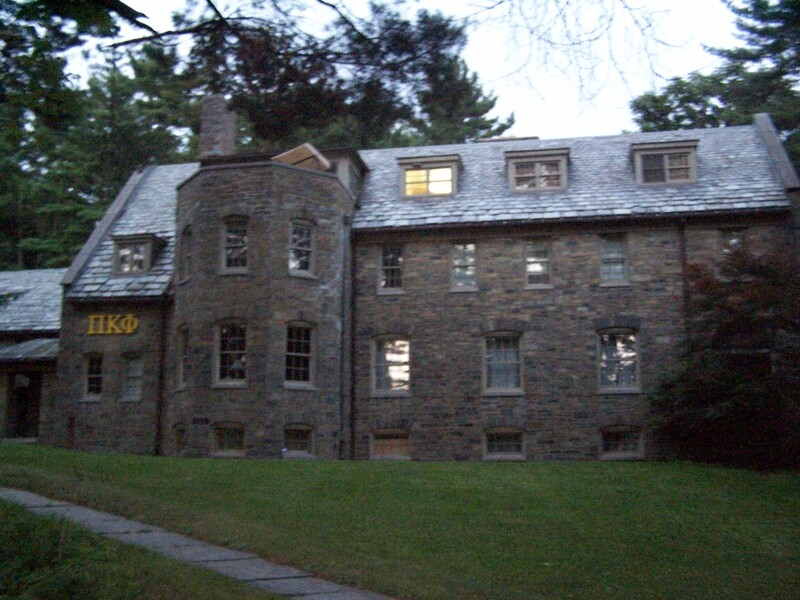 In the meanwhile, Phi Kappa Phi lived at 722 University Avenue from 1949 to 1986, when the chapter closed; it was reorganized in 1990, and moved into this house the following year . Across the street is Beta Theta Pi fraternity. Now, I must say that this house is spectacular from the outside; but I was appalled the few times I’ve been in there (a couple of my friends are brothers at Beta). Anyways, Beta (originally Alpha Sigma Chi), lived in Pi Kappa Alpha’s house until about 1906, when “Castle on the Rock” was constructed . Wrapping up Ridgewood is Sigma Delta Tau sorority. The Alpha chapter was founded in 1917 as Sigma Delta Phi, but changed when it was founded the letters conflicted with another organization (that seems to happen quite a bit) . The house has a stunningly unattractive addition that probably dates from the 1960s, and I tried my best to not photograph it. The rest of the house looks very classy, dating from 1900-1910. What is the address of Sigma Chi’s Greystone Manor? According to Cornell’s website, the address is 106 Cayuga Heights Road. Spatially, it’s well to the northwest of Cornell Central Campus. Are the membership records of Phi Kappa Sigma available anywhere? I’m looking for a member of the class of 1960, and of Phi Kappa Sigma, whose nickname was “The Crow,” and who played sax in my R & R band called The Choppers. Thank you for any help you can give me. Your best luck would be to check the Cornell yearbook for 1960. It would have a group photo of the fraternity and identifies students’ activities, including their Greek affiliation and any other extracurricular that they might have taken part in. However, while these available in print at most of the Cornell University libraries, I’m fairly sure there are no digitized copies, so you’d have to make the trip to Ithaca, or make some meaningful phone calls or emails to the university archives. Hope this helps! Steve, I don’t know if this helps but I pulled a Phi Sigma Kappa list from the 1957 Cornellian Yearbook as I have access to eyearbooks.com. The person you are looking for gradated in ’60 so he should have been a freshman in the fraternity in 56-57. Unfortunately, this is the only year they have from Cornell so I hope this helps answer your question. It looks like there is one John Crowe in the list. If that is not the person you are looking for and it was just a nickname, his real name might appear in the list below. 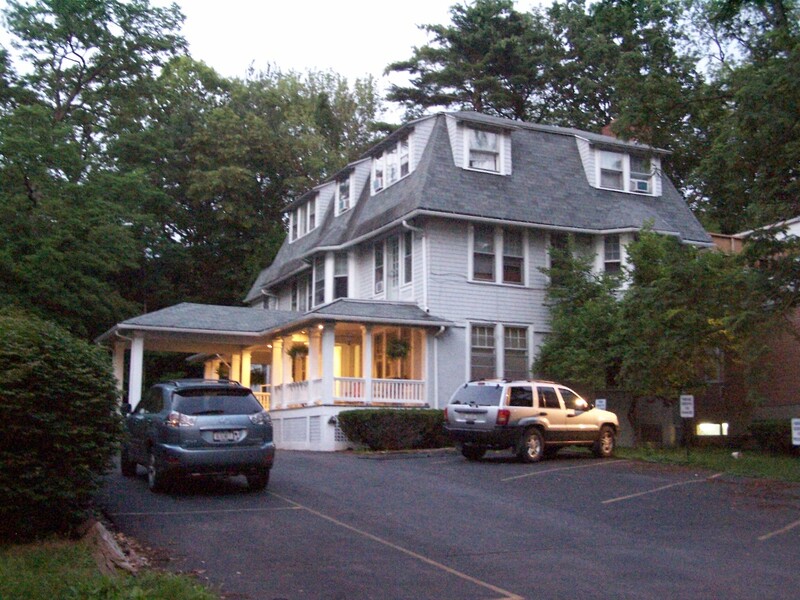 Re – the AOPi house at 40 Ridgewood Road. Prior to this house being Theta Chi fraternity, it was the Phi Sigma Epsilon house (where I lived, as a brother, in 1978-79). I forget the details now but I think after I graduated PSE was absorbed into Theta Chi as a national fraternity, possibly. Anyhow I still recieved newsletters from the Theta Chi house as a former brother. Dave is correct. I, too, was a brother in Phi Sigma Epsilon and lived there in 1976-78. Phi Sig Ep national merged with Theta Chi national and I think it only lasted at Cornell for a year or two. The house had some unique rooms – the Bowling Alley, the P (Presidential) Suite, and an area called the Underground. I saw photos of the house on the present sorority’s web site – they did a great job fixing up the house. 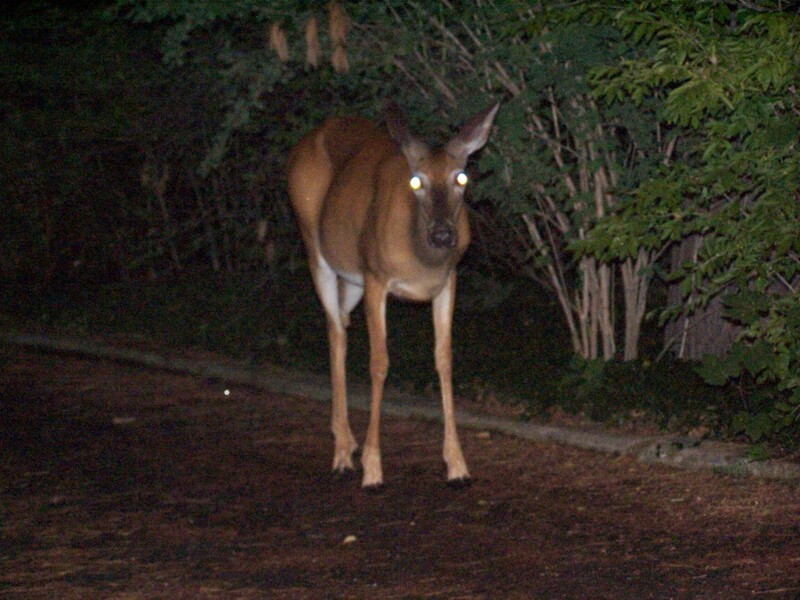 Hey, Larry! I just revisited this site but a year after you posted, I guess. I’ve never been back to the house but I saw the sorority’s website as well and they did do a great job. My name is Peter Mayers, Cornell ’82. 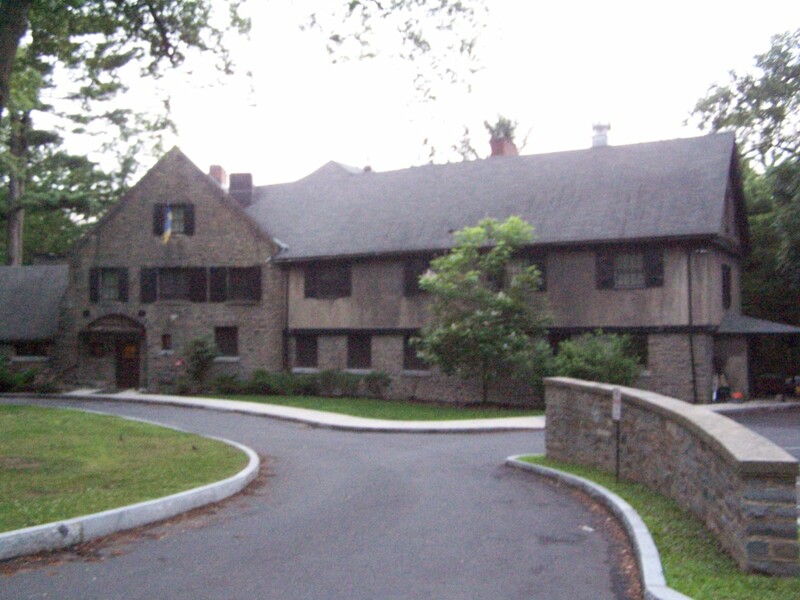 Like others have mentioned, 40 Ridgewood Road was home to the prominent Phi Sigma Epsilon, Phi Tau Chapter. In 1985 Phi Sigma Epsilon merged with Phi Sigma Kappa nationally. Since a Phi Sigma Kappa chapter already existed on campus already, this chapter of PSE disbanded. Not all PSE brothers joined PSK, many joined another local fraternity (if I remember correctly). The name Greentrees for the Pi Kappa Phi house was in use when my step-grandfather, Frank L Morse, of Morse Chain Co., (NOT Morris) owned it. Oh, whoops! You know, Morse Chain has been referenced a couple of other times since, with the correct spelling. I never noticed the typo here until you pointed it out. Thanks, and thanks for the additional info!